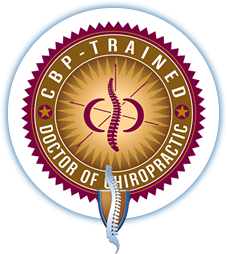 We are proud to be Midlothian’s only complete Chiropractic BioPhysics® and Spinal Rehabilitation Center. Our many physical therapy options give Dr. Tyson the flexibility to provide highly individualized care to meet your health needs and goals. Chiropractic Biophysics® is a more highly advanced, scientific, and proven chiropractic technique; which combines chiropractic care with physical therapy specific to the ligaments, tendons and muscles of the spine combining biology, physiology, physics, geometry, and anatomy to identify the causes of your pain, discomfort, loss of mobility, and altered health. Chiropractic Biophysics® is a practice of correcting and restoring your spine back to alignment. It aids in restoring your body to optimal health by using any combination of pain management techniques as well as spinal traction(s). 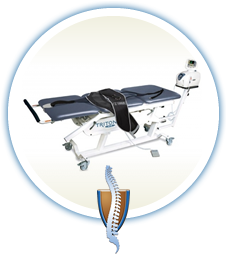 Curvature restoration traction removes pressure off the spine and is designed to apply forces into the spine. This will assist in the process of stretching your ligaments to help restore the proper and natural curvature back into your spine to help correct the cause of your pain. Dr. Tyson will use the pre-spinal x-rays, postural checks and other diagnostic tests to assess your specific spinal condition, and then treat the ligaments and bones of the spine to make changes in order to bring it back into the correct state. Your care may employ spinal adjustments, massage therapy, therapeutic exercises, physical therapy, inferential therapy, curvature restoration traction, intersegmental traction, spinal remodeling and therapeutic stretches to treat your symptoms. 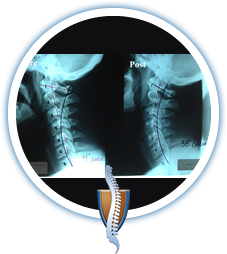 Post spinal x-rays are taken to see the actual changes that have taken shape over the course of your treatment. That means your diagnosis – and treatment – will be based on sound scientific and chiropractic principles specifically designed for your unique condition. •Promotes the passage of healing nutrients, into the disc and fosters a better healing environment. Many patients fall asleep on the on our decompression table while enjoying this relaxing atmosphere and painless treatment. Therapeutic massage therapy works hand in hand with chiropractic, in order to make a deliberate change in your body. This practice of using touch as a healing method derived from customs and techniques rooted in ancient history. Civilizations in the East and West found that massage could heal injuries, relieve pain, and prevent and cure illnesses. What’s more, it helps reduce stress and produce deep relaxation. Rehabilitative therapies are designed to eliminate pain and restore your body to optimal health. At Advanced Care Chiropractic and Wellness Center we offer a wide variety of physical therapies to assist in meeting our patients needs and goals. Spinal Rehabilitation is a therapeutic approach that draws on disciplines in science and alternative healing to prevent and treat pain. For painful spine and musculoskeletal disorders, spinal rehabilitative physical therapy is employed as an aggressive conservative care program that helps to identify the source of neck and back pain by identifying the cause of your symptoms and making a plan to correct that cause for optimal health and wellness. Your care may employ spinal adjustments, massage therapy, therapeutic exercises, physical therapy, inferential therapy, intersegmental traction and therapeutic stretches to treat your symptoms. From Inferential Therapy, Intersegmental Traction and even Spinal Remodeling – we have all the tools necessary to help! Ready to get started on your journey to health? Contact our Midlothian office today or request an appointment online.